​The SEMIC action provides solutions to help European public administrations perform seamless and meaningful cross-border and cross-domain data exchanges. The provision of digital cross-border public services requires the exchange of data between public administrations of different EU countries. Semantic interoperability is a fundamental enabler of such exchanges. 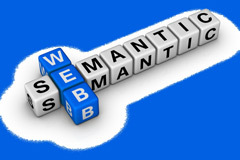 It is crucial to agree on the use of common semantic standards, promote transparent and well-documented metadata policies and increase the visibility and reuse of existing semantic interoperability solutions. Since its inception, SEMIC has invested in the simplification of the environment in which EU countries exchange data for the delivery of electronic public services, addressing the issues and barriers related to semantic interoperability in the EU. Besides providing free of charge technical solutions, the action animates a community of practitioners working on semantic interoperability. Supporting alignments and agreements on common definitions and specifications at the semantic layer for the Member States and the EU institutions. Increasing the visibility of existing data standards and promoting the use of ISA² specifications, such as Core Vocabularies, ADMS and DCAT-AP at the European, national and local level. Identifying needs for developing new common data models. Supporting projects executed by European Commission services and EU countries to promote semantic interoperability with pilots and expert advice. Promoting best practices, experiences and lessons-learnt in the area of semantic interoperability and raising awareness on the importance of semantic interoperability and appropriate metadata management policies. Engaging with the SEMIC community, in particular by organising community-building events. Free access to a European repository of reusable semantic interoperability assets, including technical specifications and knowledge on the domain of semantic interoperability. These semantic interoperability assets enable efficiencies due to reuse of an already existing solution and less interoperability conflicts while integrating systems to provide cross-border and cross-domain services. A central point of reference for collecting, organising, storing and making available semantic interoperability assets which have been created by various EU entities (SEMIC collection on Joinup). A community of practitioners who support the adoption of semantic interoperability standards through collaborative efforts and the sharing of knowledge and good practices. Practical support to the implementation of semantic interoperability solutions through the execution of pilots that implement ISA² specifications. Which solutions can we already offer to you? The ISA² Programme has developed a number of semantic specifications and interoperability solutions which are available to public administrations, namely: Core Vocabularies, the DCAT Application Profile for Data Portals in Europe (DCAT-AP) and the Asset Description Metadata Schema (ADMS). The SEMIC action is also funding the development of solutions managed by other services, such as VocBench3 which is managed by the Publications Office of the EU. Data integration: the Core Vocabularies can be used to integrate data that comes from disparate data sources. Data publishing: the Core Vocabularies can be used as the foundation of a common export format for data in base registries like cadastres, business registers and service portals. Find out more about the different categories of Core Vocabularies and their use cases. Visit our e-Government Core Vocabularies community space on Joinup. e-CODEX: The Core Person Vocabulary is used in the e-Document formats that implement the European Payment Order procedure developed by the e-Justice Communication via the Online Data Exchange (e-CODEX) large-scale pilot. OSLO project: The standards of the Flemish Open Standards for Local Administrations in Flanders (OSLO) project are local extensions of the Core Business, Core Person, Core Location and Core Public Service vocabularies created at European level. Data catalogues to describe their dataset collections using a standardised description, while keeping their own system for documenting and storing them. Content aggregators, such as the European Data Portal, to aggregate such descriptions into a single point of access. Data consumers to more easily find datasets from a single point of access. Find out more about features, use cases and extensions of DCAT-AP. Visit our DCAT-AP community space on Joinup. Solution providers, such as standardisation organisations and public administrations, to describe their interoperability solutions using the standardised descriptive metadata terms of ADMS, while keeping their own system for documenting and storing them. Content aggregators, such as Joinup, to aggregate such descriptions into a single point of access. ICT developers to more easily explore, find, identify, select and obtain interoperability solutions from a single point of access. Find out more about the features and use cases of ADMS. Visit our ADMS community space on Joinup. The SEMIC action is funding the development of the VocBench3 tool that can help public administrations to maintain and publish their controlled vocabularies in an open and interoperable way. VocBench3, as a free web-based platform, enables collaborative editing and management. Its development is managed by the Publications Office of the European Union. Find out more about the features of VocBench3 and its use cases. In 2019, the action will continue evolving the ISA² specifications to make sure they are always up-to-date and fit-for-purpose. As part of its knowledge sharing activity, the action will work on studies identifying best practices for data quality management and exploring the landscape and design guidelines of XML. Moreover, the action will further execute pilots with EU Member States and European Commission departments to demonstrate use cases for ISA² specifications. The SEMIC conference – flagship event of the action – will be organised in the second half of 2019. This annual international event brings together EU and national policy makers, IT practitioners, industry and researchers with a common interest in topics related to information exchange and data management for public administrations. Finally, the SEMIC community space on Joinup will be redesigned allowing users to more easily navigate information and explore our solutions! Business models for Linked Government Data: What lies beneath?